Click on a link or image below to go to the Etsy store listing. Fat? Fat friendly? Persistent in the face of bias and injustice? 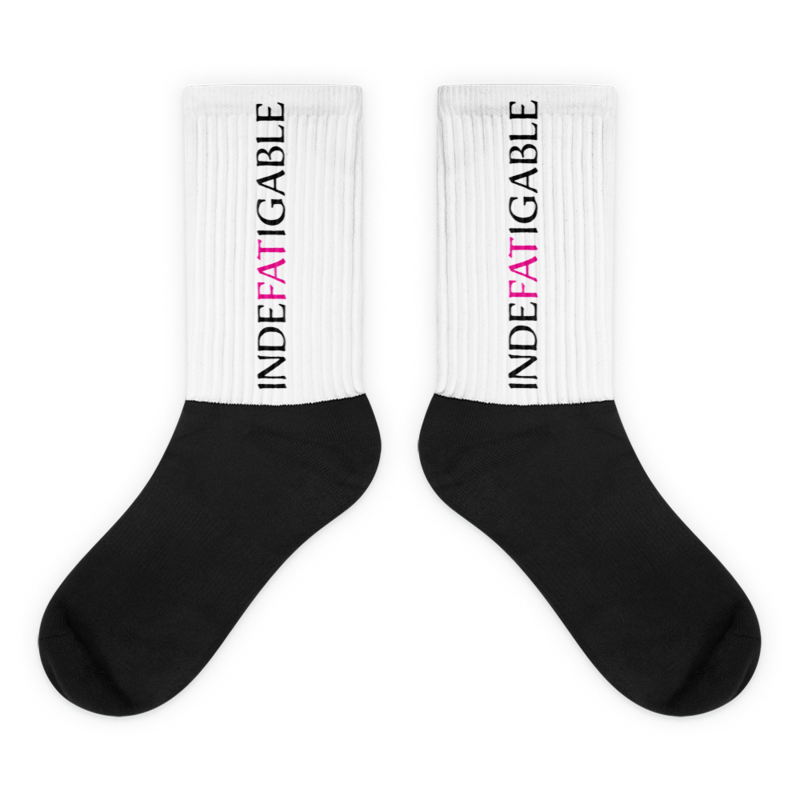 These socks are for you — and your allies — those who are or want to be untiring, unyielding...indefatigable. Available in medium, large & XL with your choice of script or plain design.